We will call him FS. 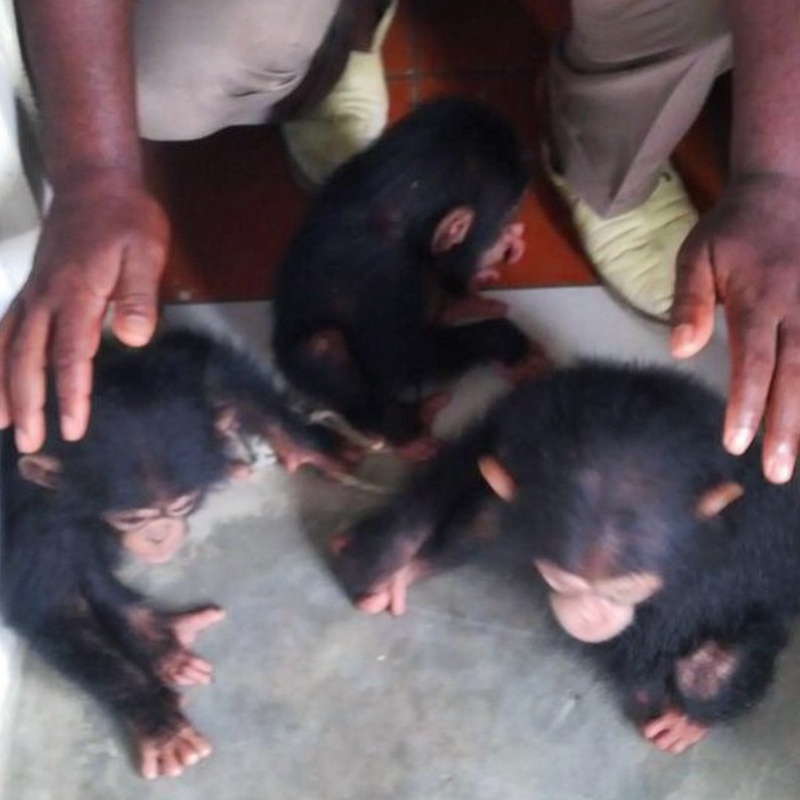 In November 2014, FS flew to Accra, Ghana, to meet with local wildlife dealers to set up a deal for three infant chimpanzees, no doubt captured in the forest after their mothers had been killed. It took some time to arrange their shipping to Dubai, where FS is based, as they arrived in March 2015. 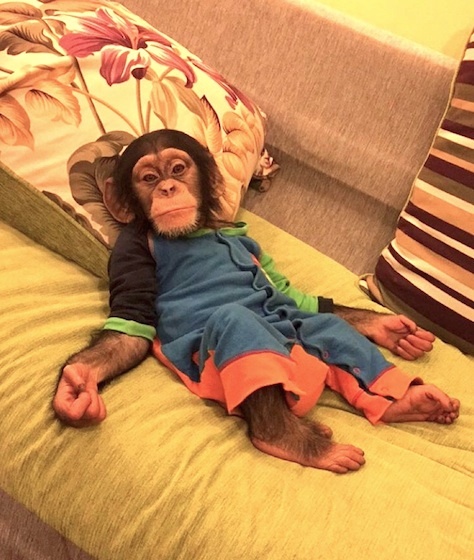 He soon found buyers, since baby chimpanzees are favoured pets in the Middle East. 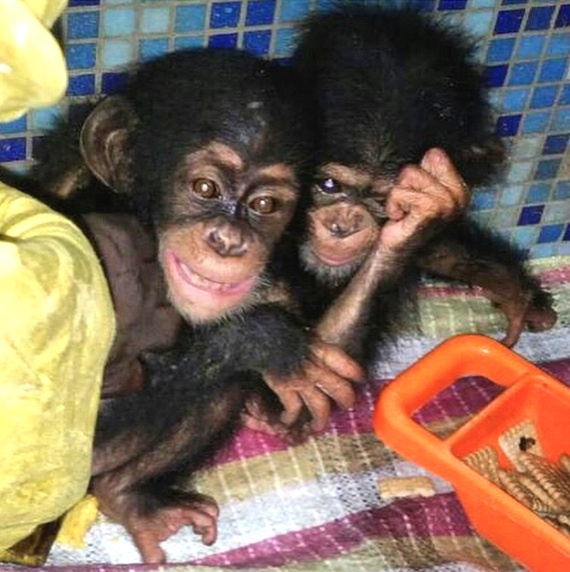 Buyers pay USD 20,000 and more for baby chimpanzees in the UAE. They arrive without CITES documents. The places and dates were reconstructed by the Project to End Great Ape Slavery, which Ol Pejeta Conservancy sponsors. PEGAS and has been following this wildlife trafficker for almost a year by monitoring his Instagram and Facebook accounts, where he posts photographs of his travels – and the animals he trades. 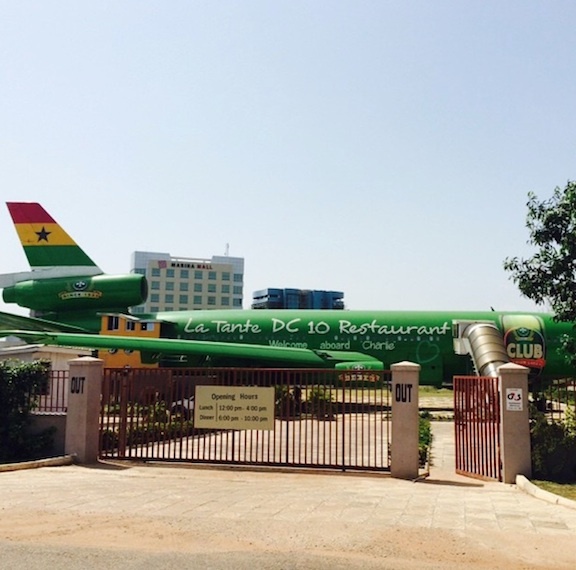 An Instagram photo showing that FS was in Accra in November 2014. There were others as well. The three chimpanzees FS came to Ghana to buy. The chimpanzees are held with the African trafficker in the ‘blue room’ before departure in March 2015, frightened and traumatized. After arrival in Dubai, FS put the chimpanzees up for sale and no more posts of them appeared on his Instagram page. Dozens of wild animals have appeared on FS’s Instagram and Facebook pages since March 2015, most recently a baby orangutan. PEGAS has traced FS’s travels to India, Thailand, Russia, Ghana, Kenya and possibly China. His Instagram account has now gone private. 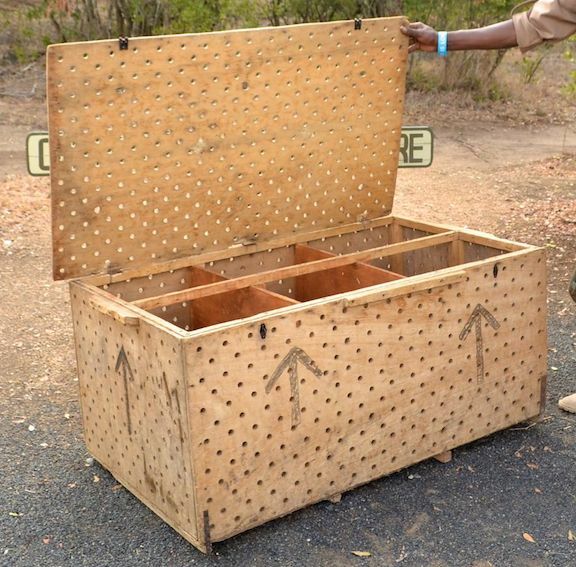 FS is just one of many such wildlife traffickers that PEGAS has found, working in close collaboration with a Cheetah Conservation Fund investigator. Cheetahs and other big cats are even more popular than great apes in the Gulf. Just knowing who the dealers are at the end of the trade chain is only part of the story, however. If the networks are to be shut down, the suppliers and transport routes and methods also need to be known. 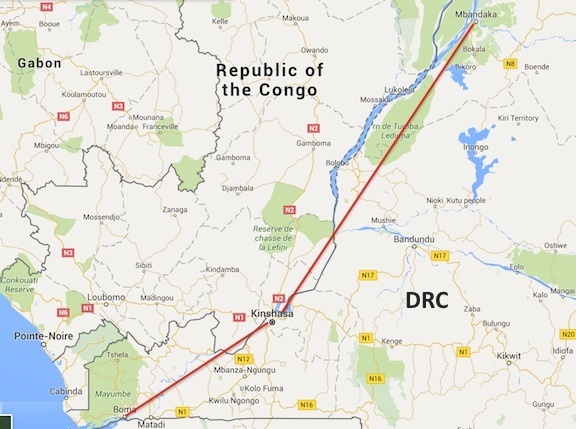 PEGAS went to Kinshasa, Democratic Republic of Congo, in late 2014 to track down addresses that had been put on CITES export permits, to see if any could be verified as illegal great ape exporters. 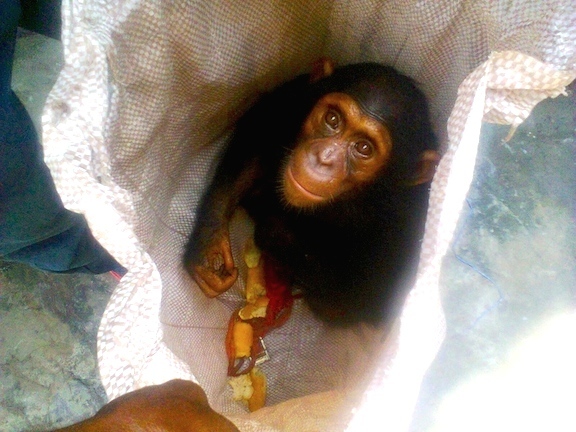 “I instructed Fiston, my assistant, to ask them if they knew where I could buy a chimpanzee. I told him to tell them that I was from Dubai on a buying trip. On such short notice it was the best cover story I could come up with. It seemed to work, as they said that, yes, they could get me one. We agreed to return the next day and took their names and mobile phone numbers. The roadside where the animals are displayed is located next to a military base. 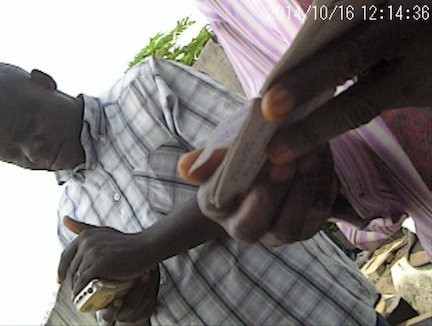 The traffickers are all middlemen who sell the displayed animals on behalf of officers in the military base. More important, they take orders for protected species that cannot be displayed openly and make arrangements for the animals to be procured. In the case of great apes, they may have to be captured in the wild, but on occasion chimpanzee infants turn up with itinerant traders visiting Kinshasa from the interior. The red circles show monkeys and the blue ovals are around soldiers that protect the middlemen. The middlemen are constantly on their mobile phones taking orders and putting out commands to their suppliers to bring in various species that they have received orders for. Note the soldier coming to see that everything is fine. Chimpanzees and bonobos were usually shipped down the Congo River on boats from Mbandaka, and western lowland gorillas and chimpanzees were captured in the coastal Mayumbe Forest and driven to Kinshasa from Boma. A bonobo was even found in Boma and rescued by Ian Redmond in 2013. PEGAS saw her in Lola ya Bonobo sanctuary. The red lines show the main trade routes from the Mayumbe Forest in the west and Mbandaka down-river in the north east. Prices for chimpanzees in Kinshasa ranged from USD 500 to 800, for bonobos USD1,000 to $2,500, and gorillas USD 2,500. Obtaining CITES export permits would be an additional USD 3,000-5,000, depending on species. Great apes are shipped by air in crude boxes like this one. It is not uncommon for fatalities to occur during transport. PEGAS found no chimpanzee during the brief visit to Kinshasa, as it takes two to three weeks to acquire one on order, but Fiston was notified of one that had arrived soon after PEGAS left the DRC. Before arrangements could be made to have it seized by the authorities, it was sold and disappeared. Perhaps it ended up in Dubai. 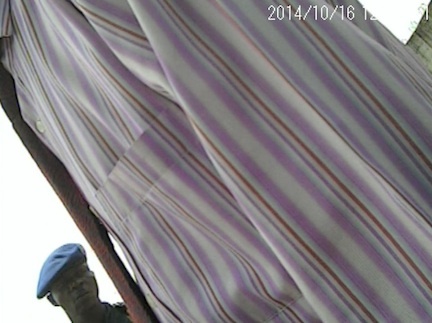 Fiston sent PEGAS a photo of the chimpanzee that was offered for sale in Kinshasa soon after PEGAS left the country. Perhaps the Kinshasa chimpanzee is a pet of a wealthy Emirati today. PEGAS has prepared a report naming some of the Gulf area online traffickers, including FS, and providing their contacts. The report has been sent to national authorities, the CITES Secretariat and to INTERPOL. Now to see what happens. 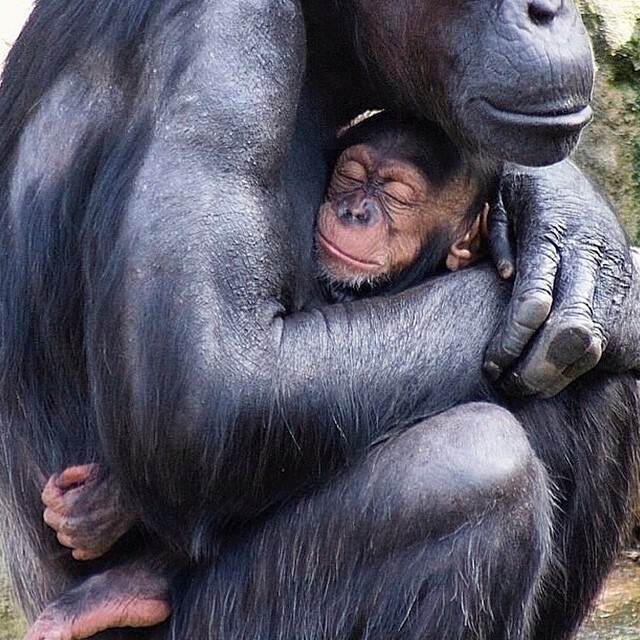 Chimpanzee mothers are very protective of their infants. The mothers always have to be killed or incapacitated to capture the infants for trade. This entry was posted in Internet, trafficking, UAE. Bookmark the permalink.